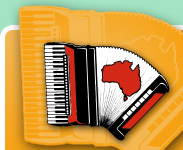 Junior accordion ensemble “The Accordigles” was formed in 2008. The members are : Kelvin Luu, Brendon Thai, Brendan Wang , Allen She, Kiara Thai, Marina Jin, Jessica Jin, Aleyah Ashimajy, Masud Ashmajy. Conductor and Musical Co Director : Steve Marx. and Clarysa Panuccio. Junior Ensemble Accordigles performs at the various charity and cultural events in Sydney area.